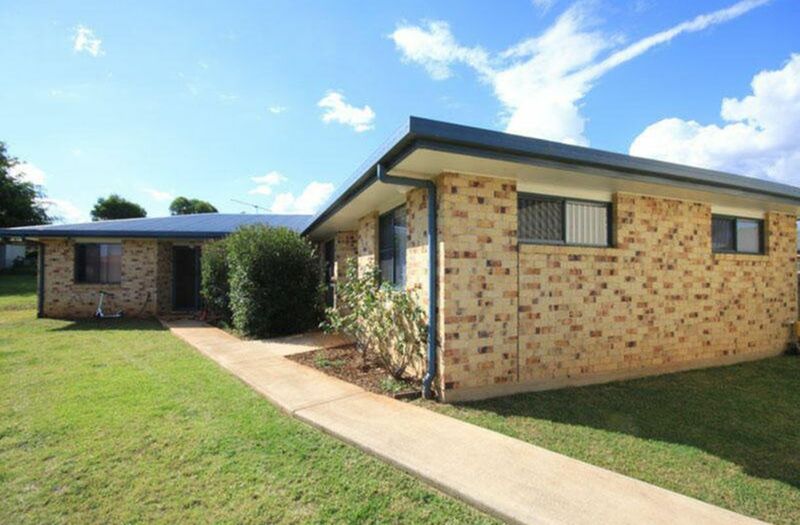 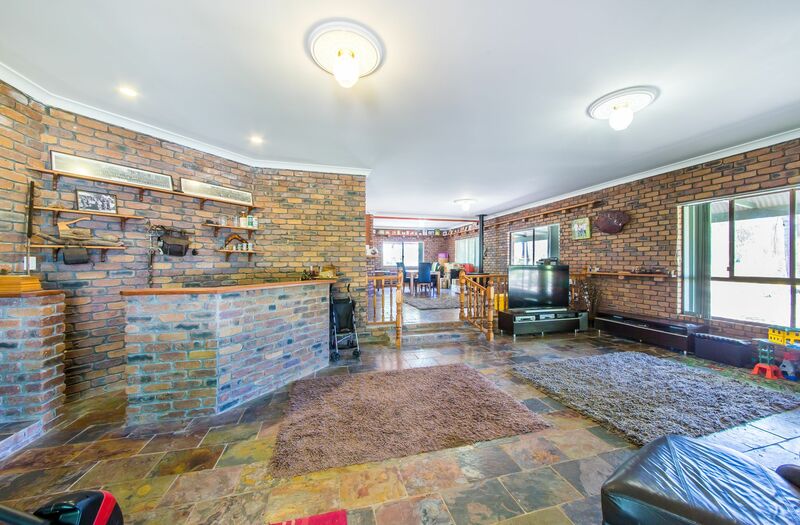 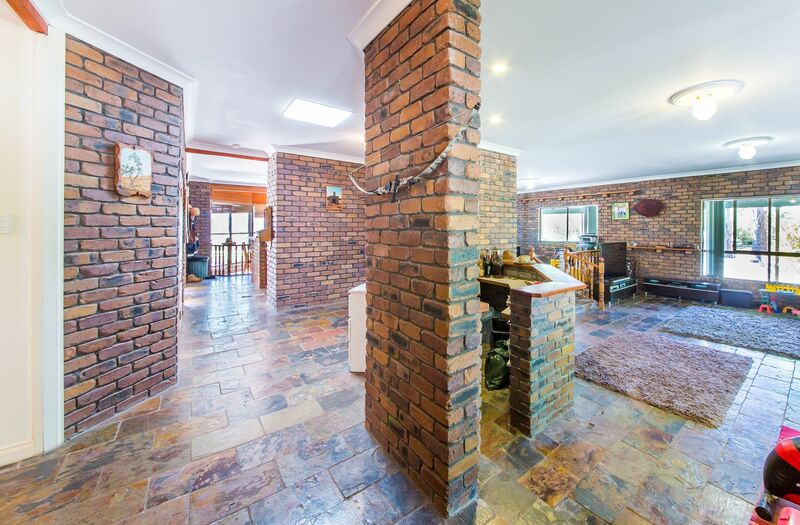 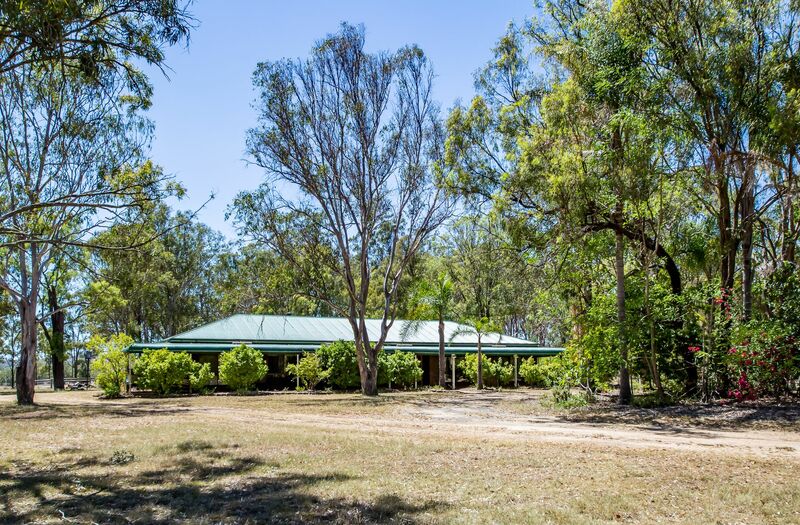 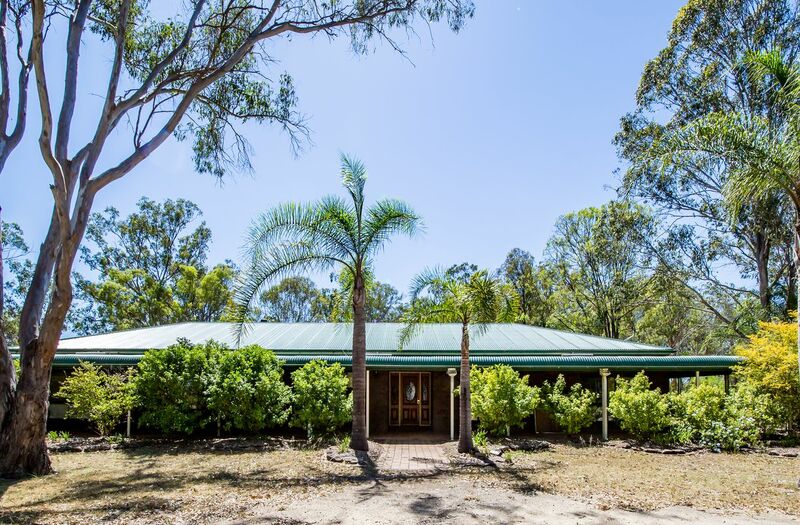 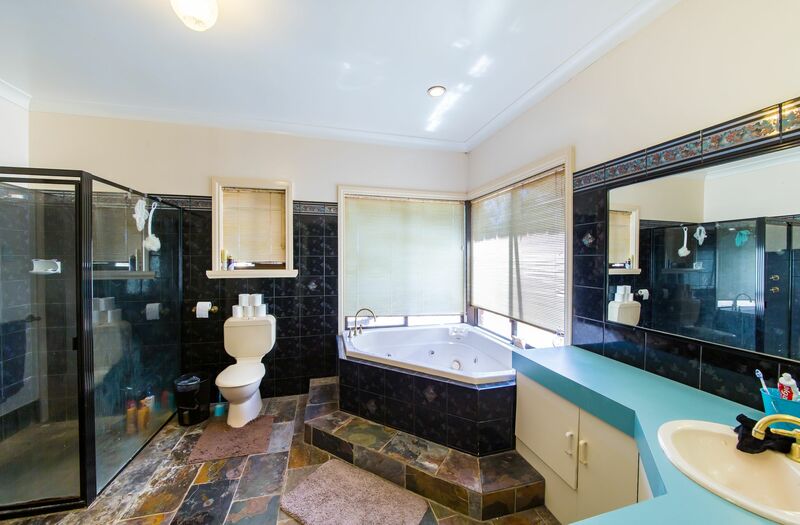 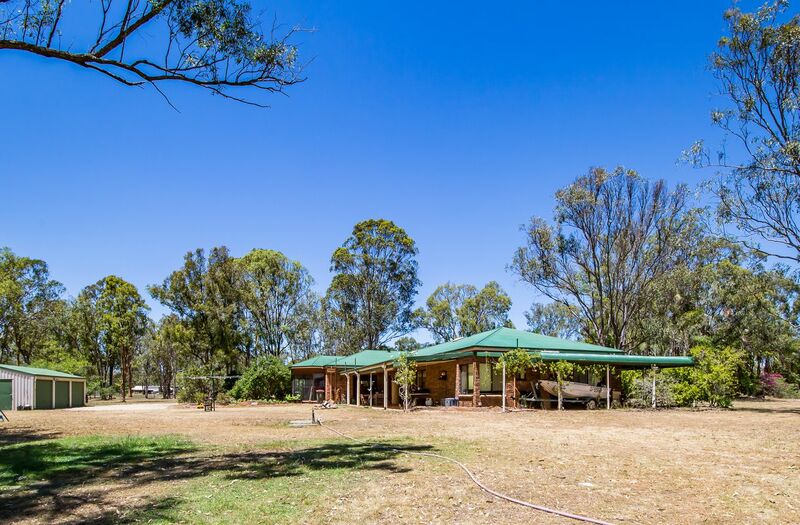 Just on the edge of Kingaroy this absolutely stunning property has much more than most. 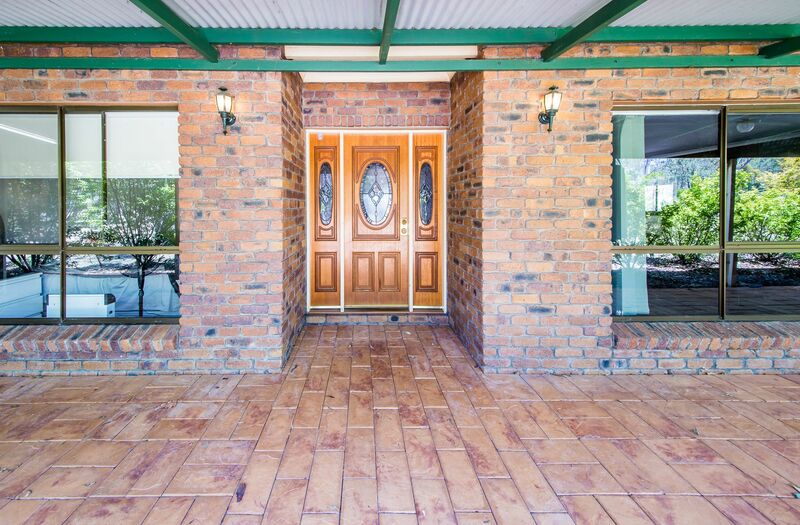 An immaculately finished home with quality slate flooring and classic fittings that invites you to stay. 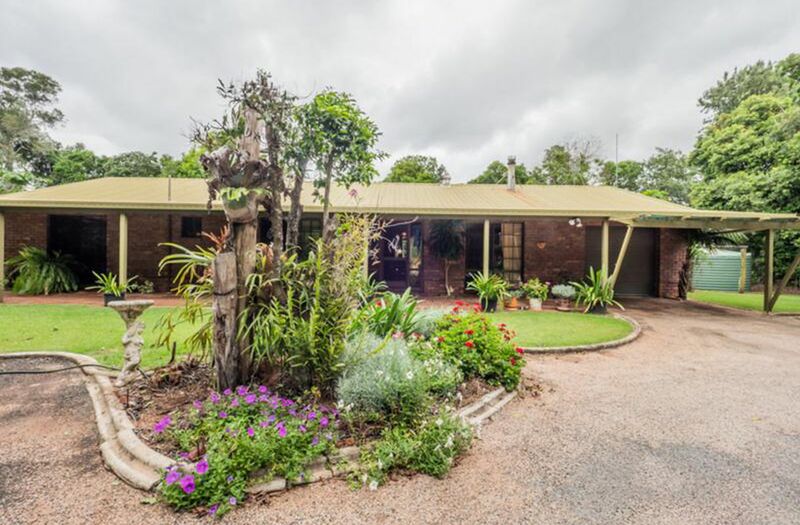 The bull nose verandahs just add to the charm of this beautiful residence that is surrounded by low maintenance gardens. 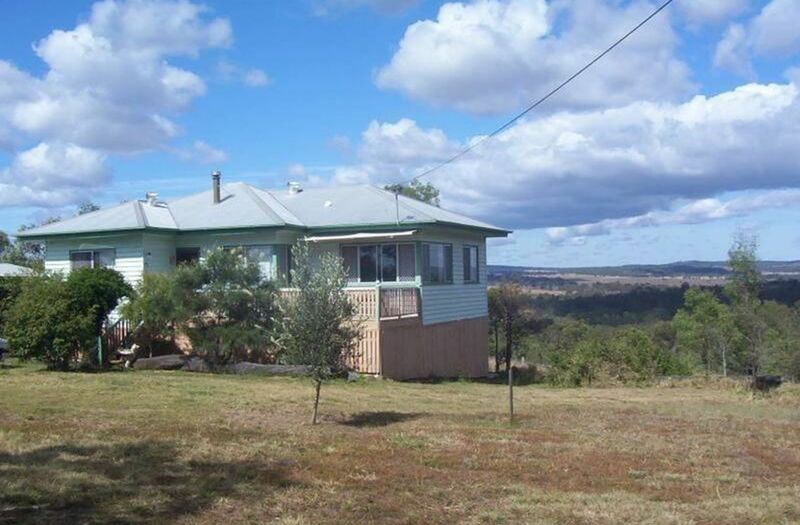 It is a spot that has easy access from town and the quiet enjoyment of 5.3 acres. 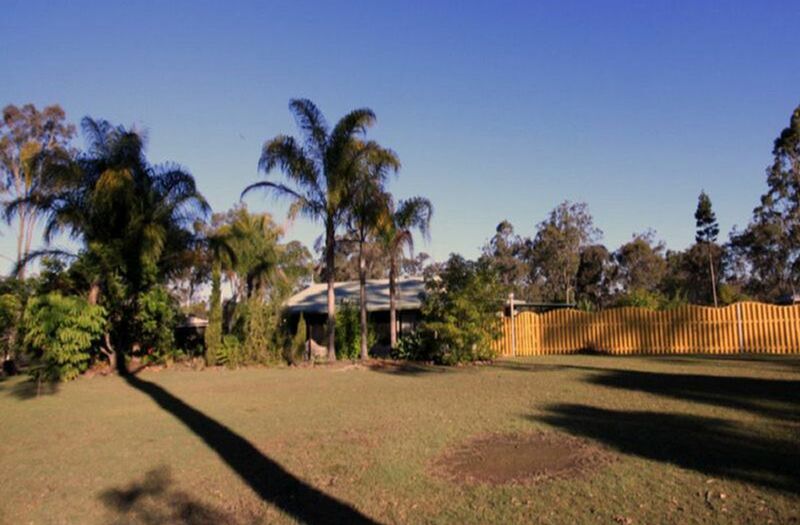 The golf course beckons if that is your game of choice. 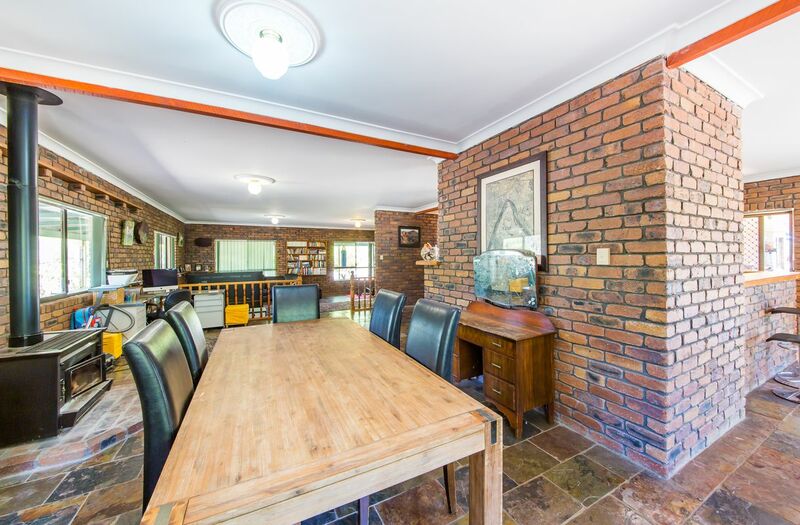 This is a wonderful spot for a family or those who like their own space there is a expansive living area with a wood heater. 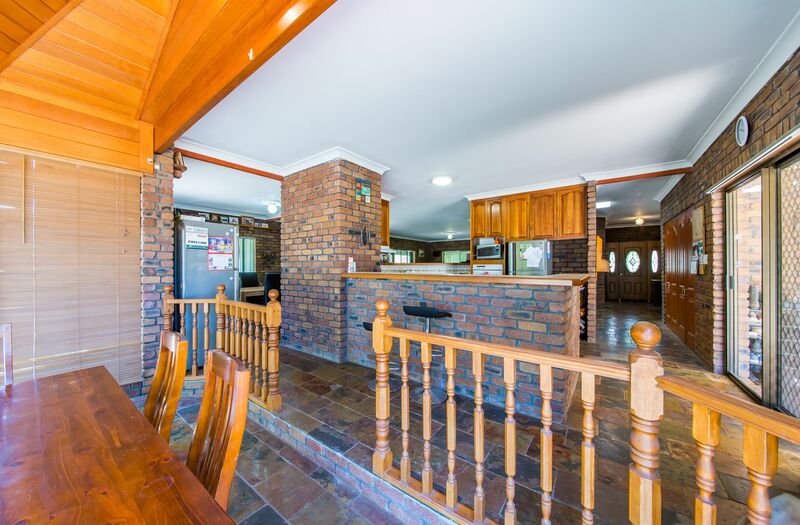 The lounge is sunken and has a bar incorporated making it a delightful place to relax and unwind. 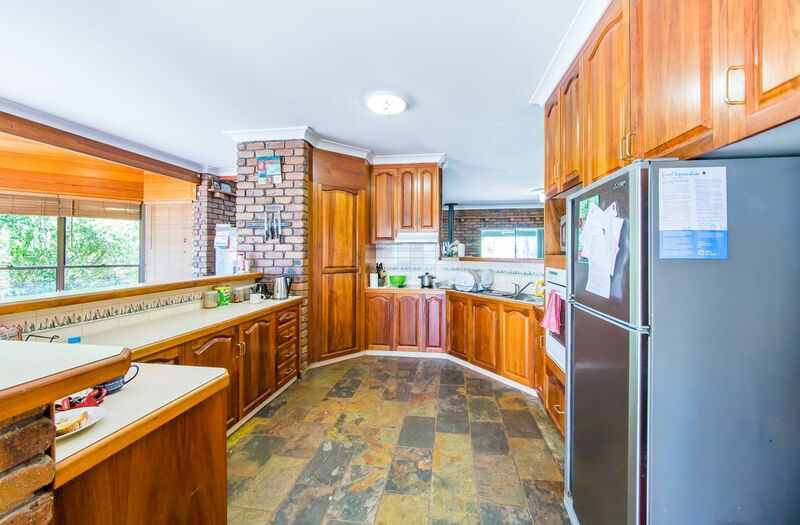 The central kitchen has lovely timber finish that complements the brick that is a feature throughout the home. There are four bedrooms and an office with the main bedroom having a spa in the huge en suite as well as built ins. 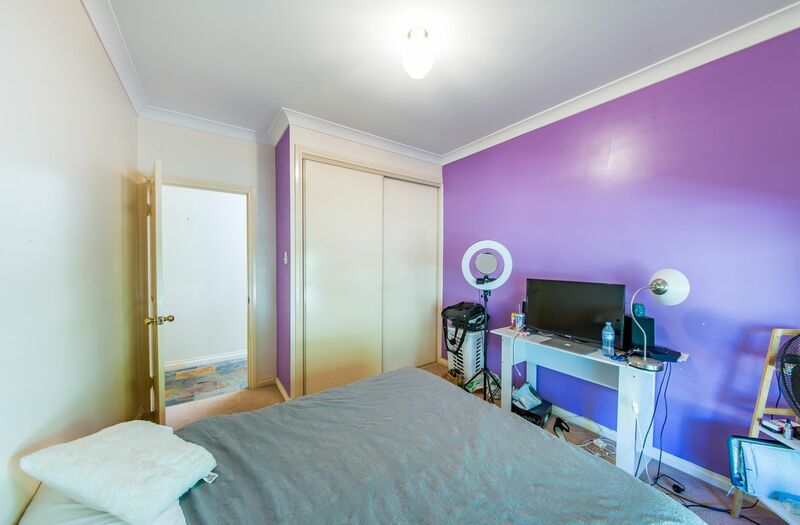 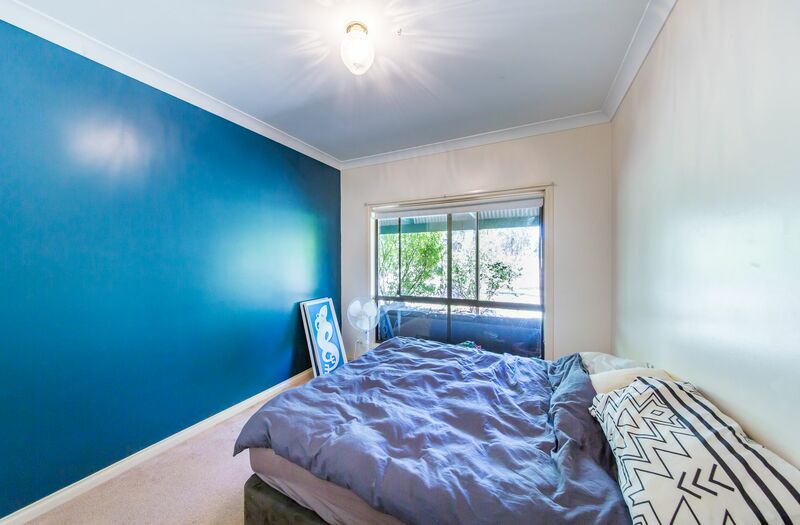 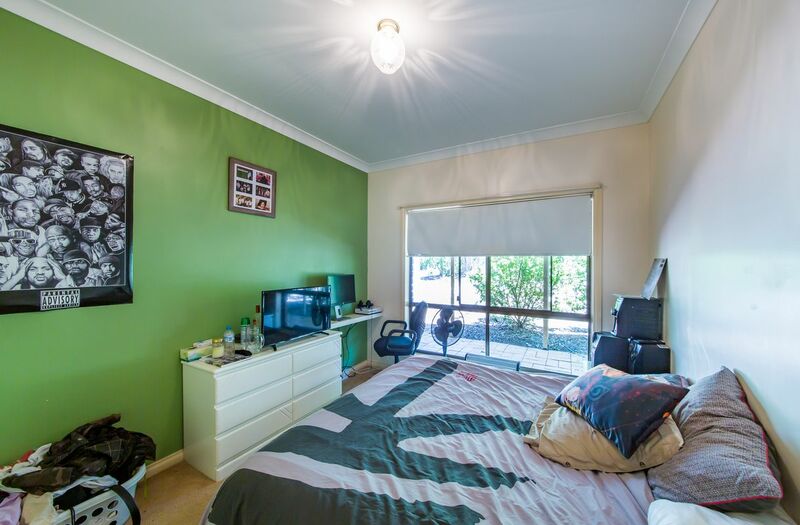 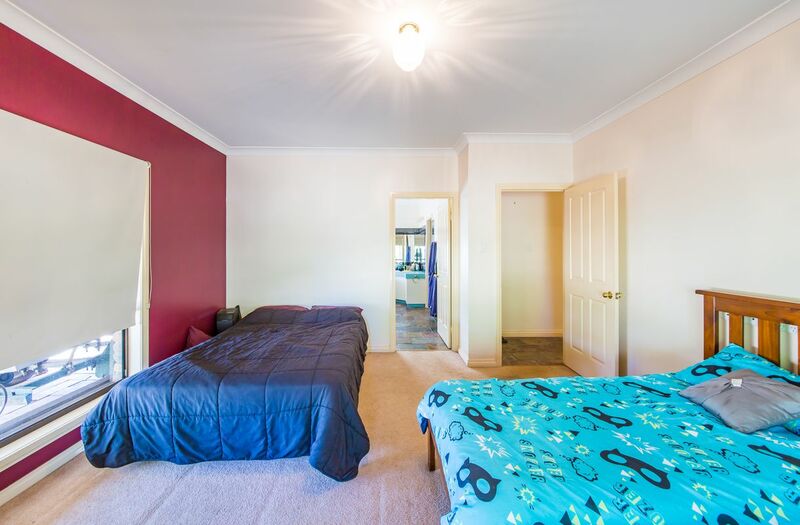 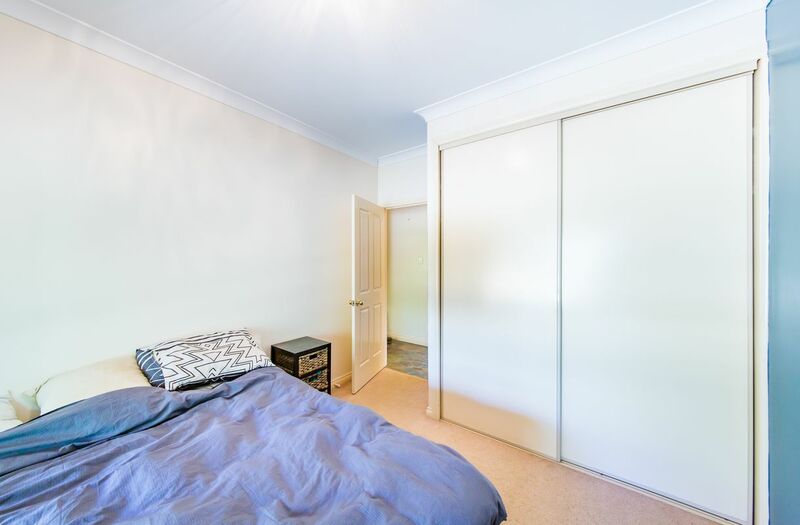 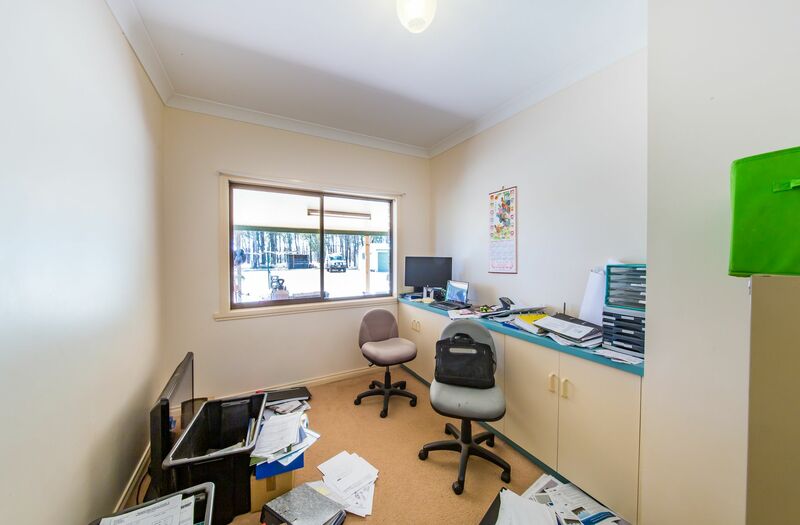 The remaining three bedrooms and office/craft room all boast built ins and individual decor. 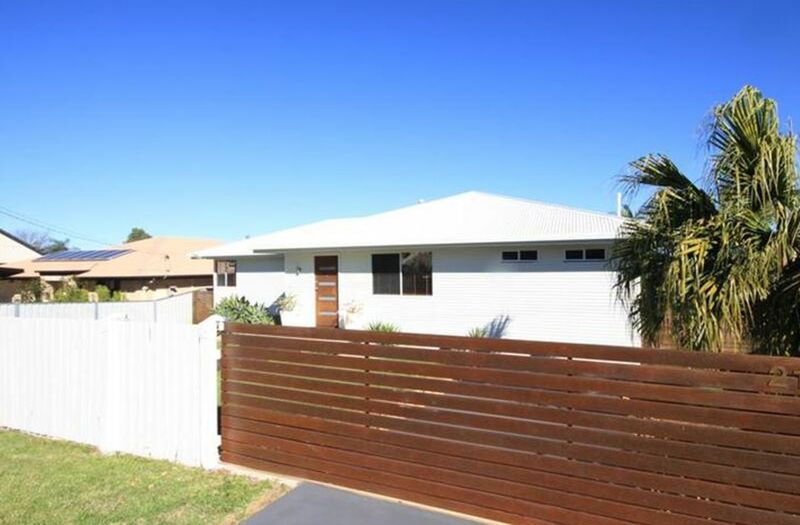 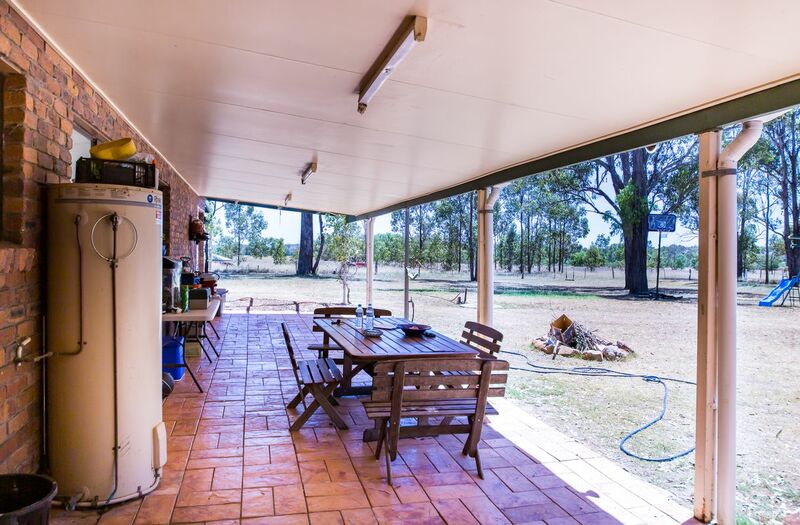 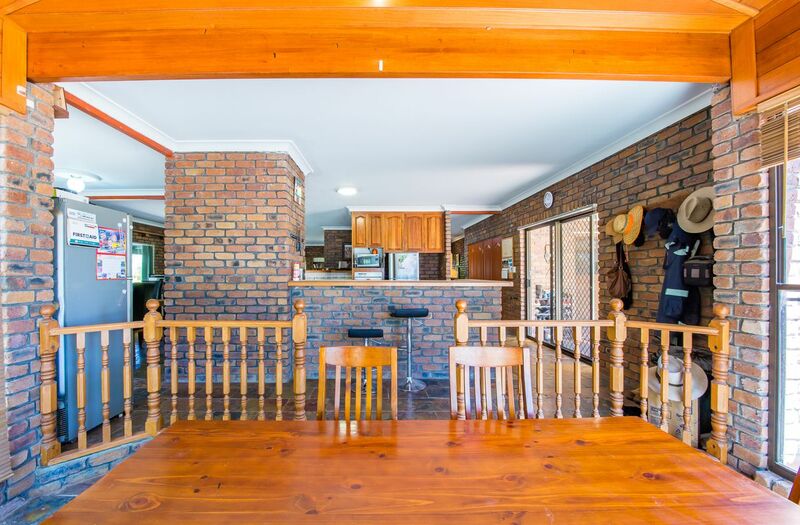 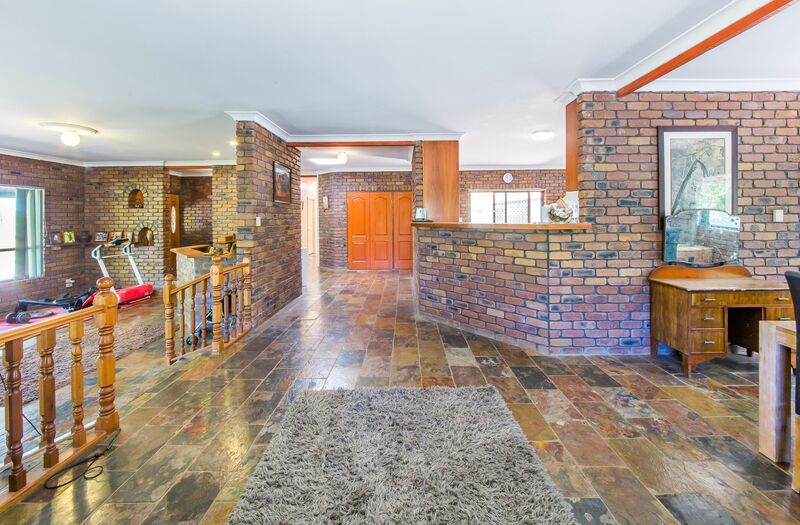 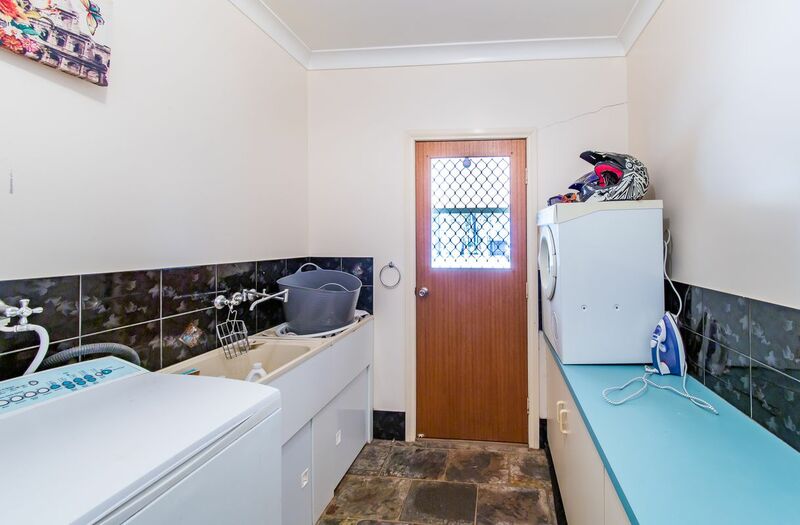 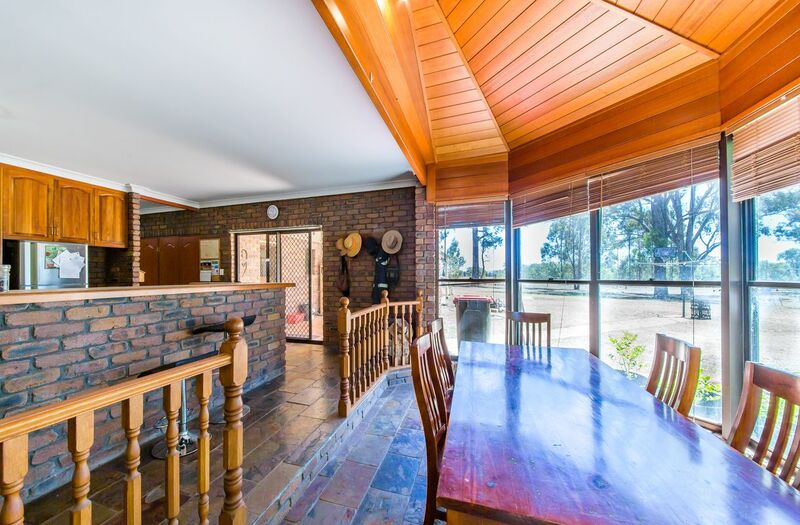 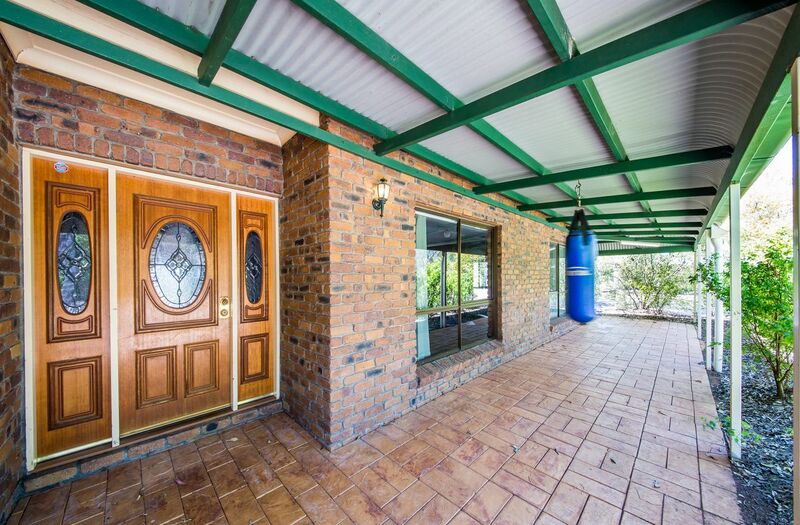 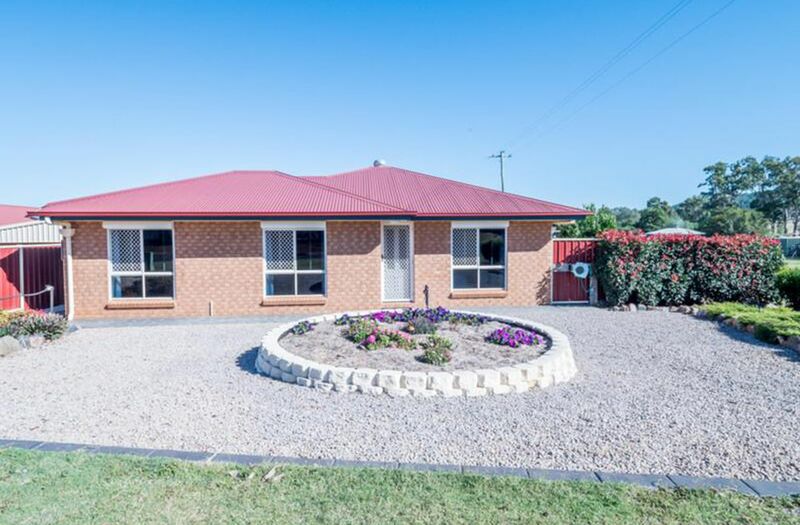 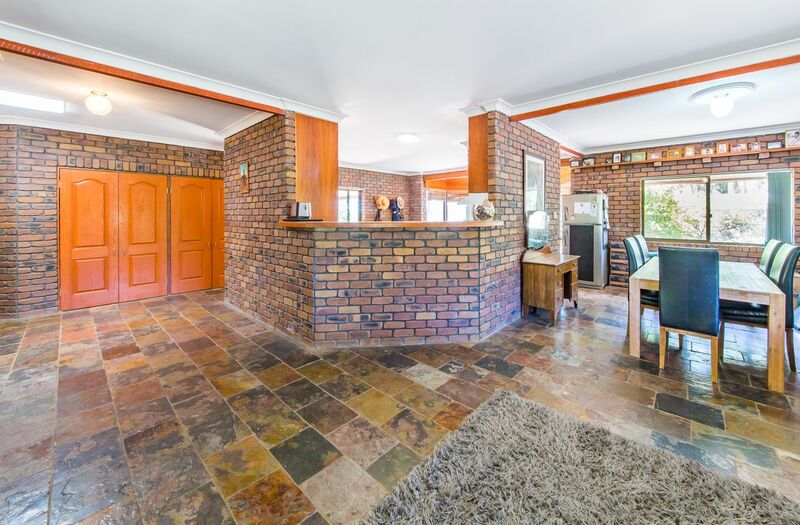 The wrap around verandah also has ample room for entertaining at the back of the home and looks over the two separately fenced paddocks to the rear of the property. 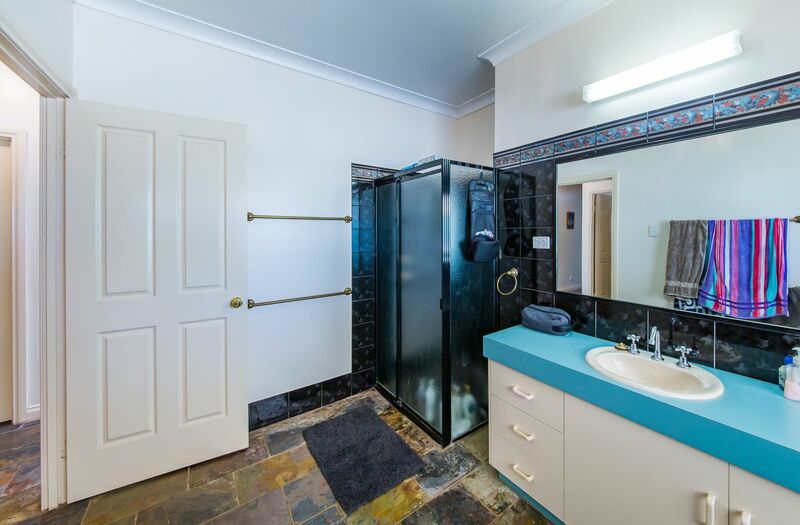 There is approximately 20,000 gallons of rain water and town water connected. 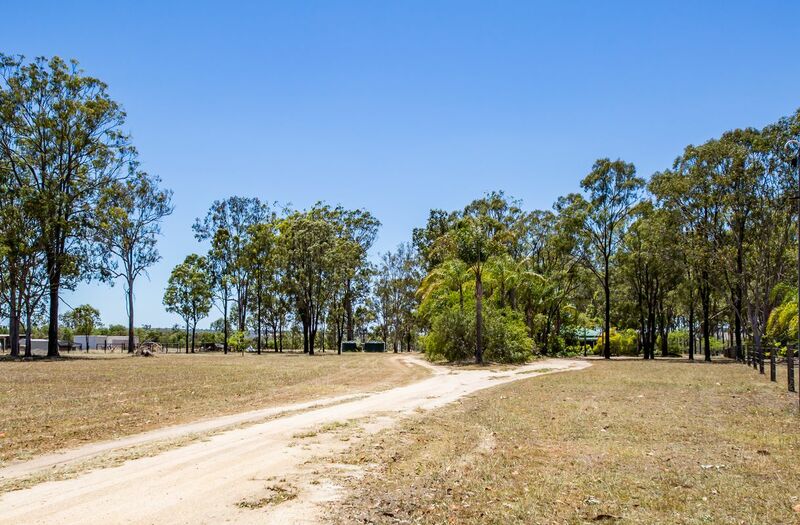 The un-equiped bore has been tested at 3,000 gals per hour. 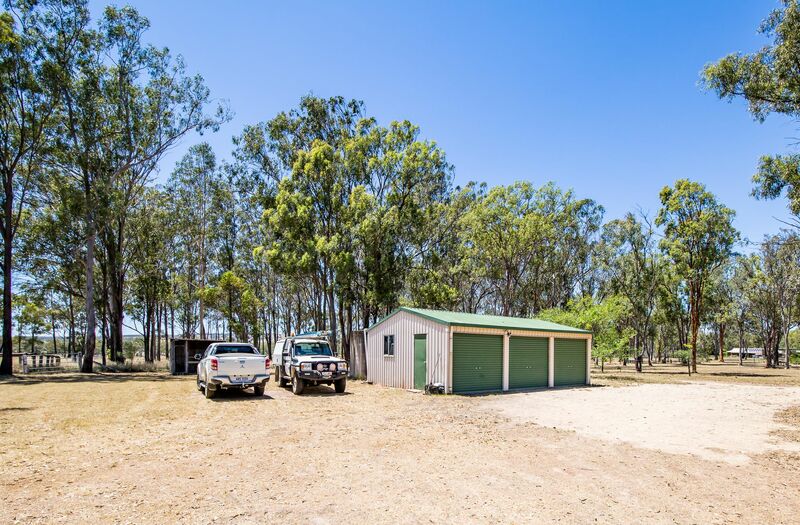 There is a 3 bay car shed with power connected.